Crisp allows you to chose the color of your chatbox in a large set of predefined colors. Those colors match deliciously the overall look of the chatbox and allow you to adapt the chatbox to the design of your website. Changing the color of the chatbox does not affect how the Crisp chatbox works. Select your color in "Color Theme"
Using a custom color code is possible starting Crisp Pro using the customizastion plugin. 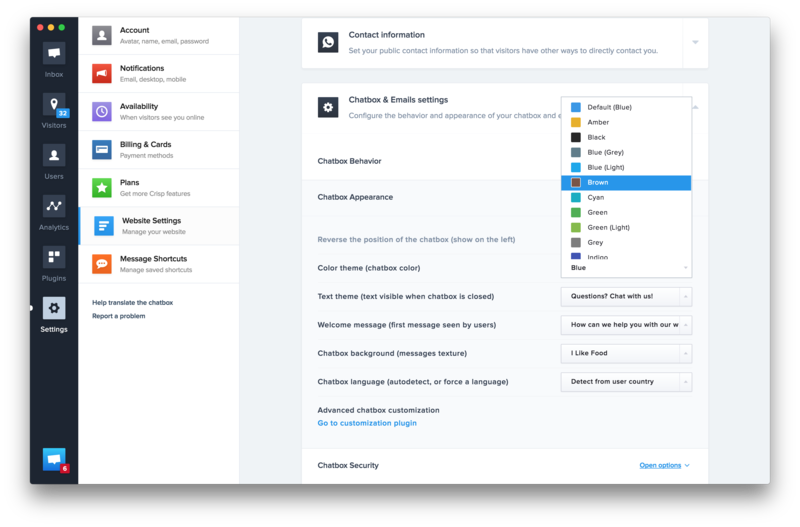 Please check the following article to set this up: How to customize my chatbox?